Volunteer to act as a journalist during real search and rescue missions, or as a casualty during training exercises. Explore collaborative research opportunities, or train to save a life by becoming a fully badged search and rescue worker. There's lots of opportunities to get involved and explore with Dartmoor Search and Rescue Team Plymouth (DSRTP). Want to find out more about the DSRTP? Join them at one of their training sessions, held on Dartmoor every Tuesday evening, to discover more about what they do. Writers from the Students’ Union magazine, The Knowledge, have also benefited from these training sessions, learning about the regular challenges and conditions the team are up against when they answer a call-out, as well as how they prepare. If you're a University of Plymouth student, you can act as casualties for the DSRTP night-time training exercises. Experience Dartmoor in different conditions, see the team working and gain valuable skills. DSRTP relies almost entirely on fundraising activities to provide 24-hour search and rescue on Dartmoor. Each year the team organises challenging walks on the beautiful Dartmoor and invites you to join them. 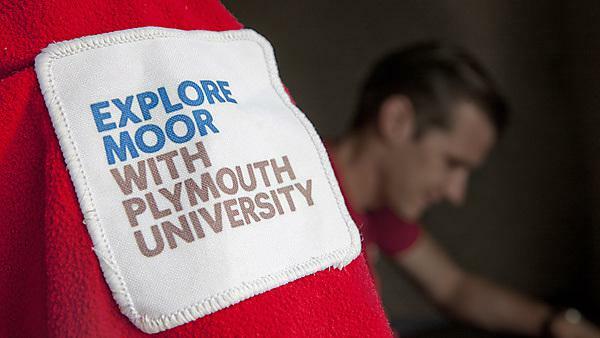 Find out more about other volunteering opportunities at University of Plymouth. We are crowdfunding for life-saving equipment! Our partners, The Dartmoor Search and Rescue Team Plymouth are in need of a heated recovery blanket, essential to combat hypothermia and ensure they keep their casualties safe and warm. With your help, they can purchase life-saving equipment. Read more on their Crowdfunder page, where there are plenty of rewards up for grabs including experiences with the team and the chance to buy one of our spectacular walking guides. Stay up to date with the team's latest news, events and fundraising activities.